Found this pic a while ago. Can’t remember all the details but I think it’s Caldow before a European game, Italian maybe. 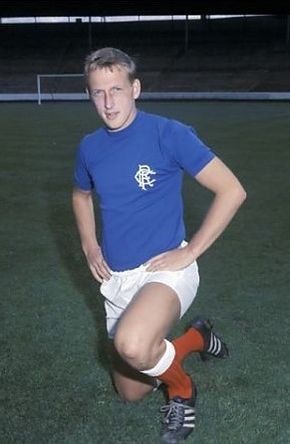 Don’t recall seeing a Gers top like this one before. A vile, sectarian, rendition of the hokey cokey. It's was the good auld daze when we used to sing The Billy Boys in shirt and tie ! Who is in the photo at the front left. From the side it looks like Ian St John! Wilson, Shearer and Henderson in the front. Brand?, Miller and Provan at the back. 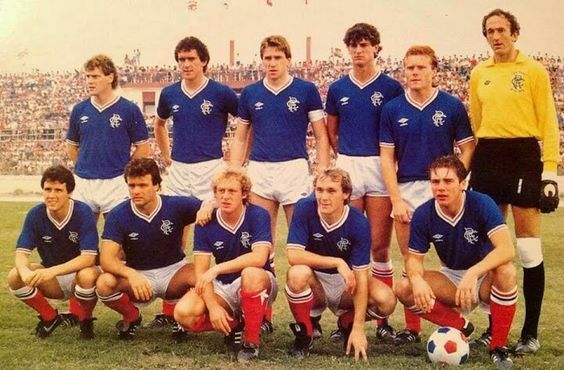 It's Caldow, McKinnon and Provan at back, the other guy was the producer of the record methinks ! 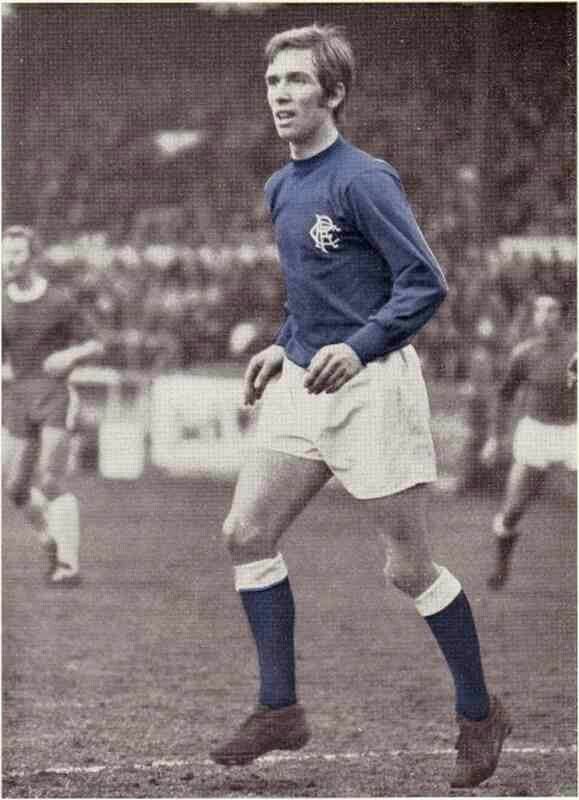 He was at Rangers in the mid-60s until 1970. 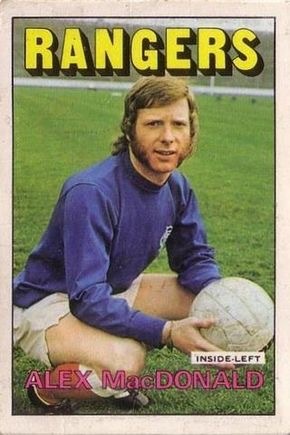 Only played a handful of games, but was at Rangers at the same time as Alex Ferguson. He died a few years ago. The game is against Aberdeen. 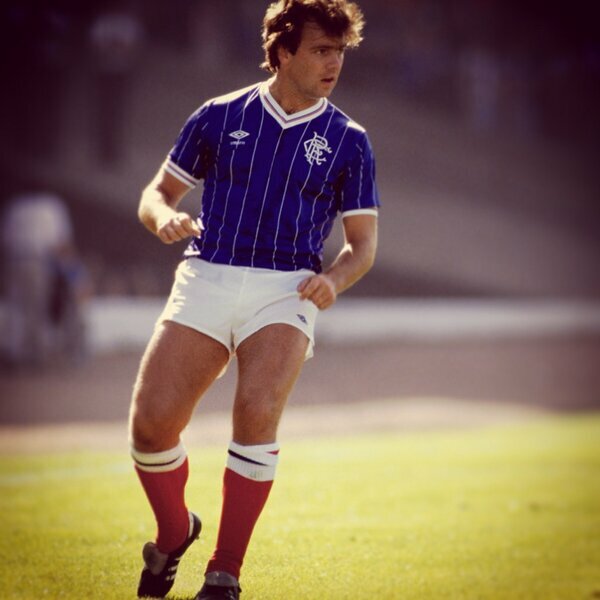 For some reason we played with blue socks with white tops. What a day that was, our first League title in eleven years. 55 will be even sweeter. 55 will be like that day, Pittodrie, Tannadice, and Helicopter Sunday all rolled into one. Well done HP. 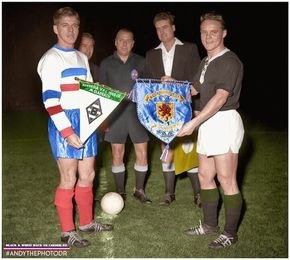 I was gonna suggest Eintracht Frankfurt, but the wee plaque in the German's hand gives it away, green, white and black. 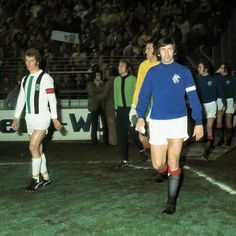 The colours Moenchengladbach wore against us in 73. Guy on the left was one of my favourite players. 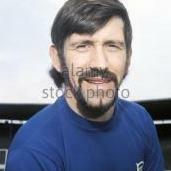 Right up there with Doddy and Neeskens. Classic, that's me in the background on the uncovered terracing with the dark grey, white and light grey scarf. My first title win. 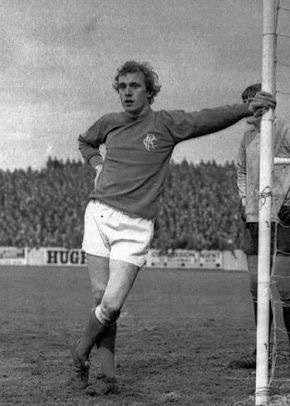 Always sticks in my mind that we wore blue socks with white tops when we beat the sheep 6-1 at the piggery in the Scottish Cup semi final in 1969. I'm nearby, the 18 year old with the grey hair.